When I was a lot younger, I came to Mallorca for the first time and had a holiday romance with a local guy. It was all quite innocent, because the friend I’d gone on the holiday with was always around. But I had also fallen in love with the island and had the urge to return to live and work here. A commanding position for this castle hotel. Confession time. My Spanish then was almost non-existent, but it didn’t stop me writing to the majestic Castillo Hotel Son Vida (in English!) to offer my services as a secretary. What was I thinking? Needless to say, I didn’t get a job. 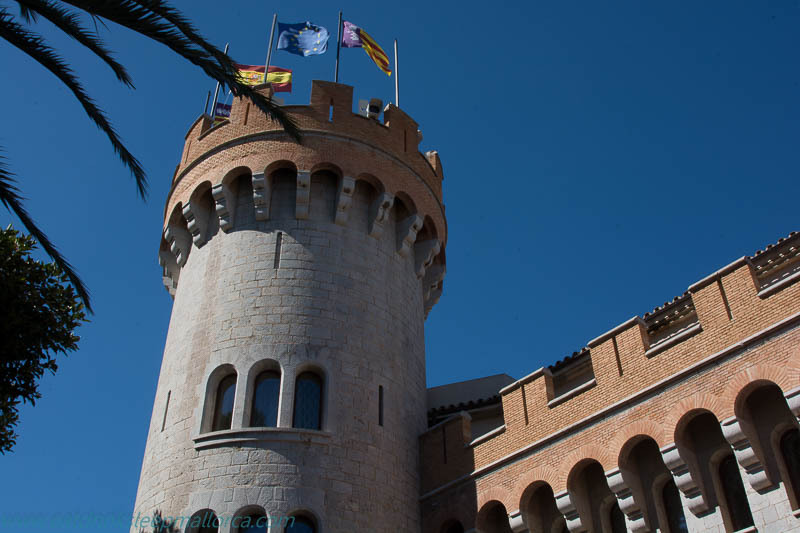 I was aiming high: Castillo Hotel Son Vida is the grande dame of Palma’s hotels, boasting five stars and an impressive history and guest list. Hugh Laurie stayed here during the filming of the series The Night Manager. 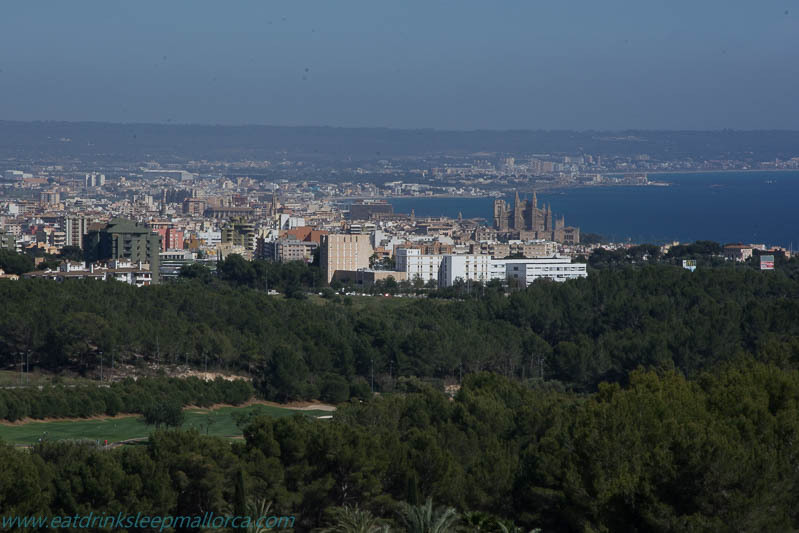 It’s not called Castillo for nothing: it was a 13th-century castle, located high amongst the hills of Son Vida – now a decidedly upmarket residential area on the outskirts of Palma. 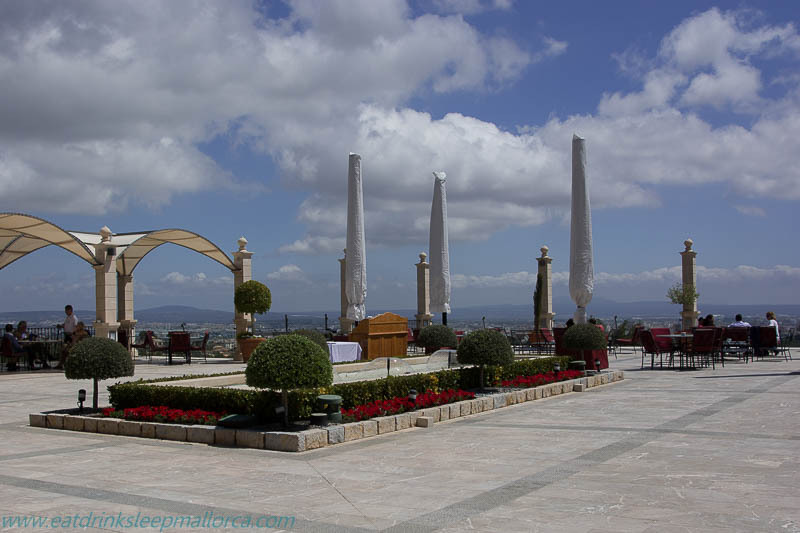 The hotel’s huge terrace offers unbeatable panoramic views over Palma and right around the Bay of Palma. Although I’ve never stayed overnight, I’ve attended quite a few functions here and the view always takes my breath away. A balcony over the island. Impressive views even on a hazy day. Rafael (third from left) and the Es Vi team. 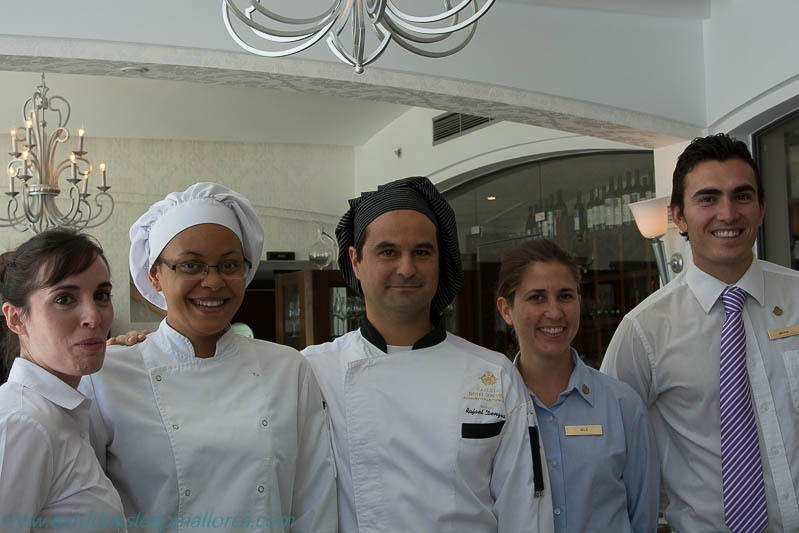 Es Ví – one of the hotel’s restaurants – is open for dinner only and serves innovative tapas from chef Rafael Dengra, who has worked his way up the ladder over his 18 years at the hotel. The smart restaurant has a mix of seating (we sat on tall chairs at a high table) and a lovely terrace for alfresco dining. As well as the à la carte tapas menu, Rafael offers a tasting menu of five innovative tapas of his selection (47€ including VAT). If you love the surprise of tasting menus, I’d recommend this. The à la carte menu includes a couple of vegetarian dishes. A clever carpaccio of tuna and monkfish, with tapenade, cashew nuts and cherry tomato confit. L-R Crunchy sole roll with tomato and ginger sauce; crunchy ravioli of pork cheek with mango and sweet chilli sauce, and goat’s cheese and walnut ‘croqueta’. Mini chicken burger with Mediterranean dressing, quail egg and mustard sauce with pineapple and coconut. ‘Pincho’ of rabbit stuffed with prawns and with fish and meat sauce. Instant smoked turbot, revealed from underneath a glass cloche. Apple strudel with vanilla Calvados ice cream. The Castillo Hotel Son Vida is also the venue for the series of summer Son Vida Café Concerts. If you’ve never ventured up to the Castillo, it’s a great opportunity to discover the place … and maybe enjoy a tapas supper too at Es Ví. The food there looks totally delicious and it’s definately now on my list of places to try! The cafe concerts sounds really interesting, I’m going to keep my eye out for those.